Welcome to NNL East -- We Are Here To Stay! The Tri-State Scale Model Car Club welcomes all model car builders to the 33rd Annual NNL East (tm), the hobby's largest and most prestigious model car event. The show will be held Saturday, April 27, 2019 from 9:00 AM to 4:00 PM at the PAL Building, 1 PAL Drive , Wayne, New Jersey. To put it simple.... NNL East aims to make this the best day of the year for the hobby! We know people travel from far and wide, and invest their vacation and hobby money to come here. Our goal is to make your day everything you hoped for... and then some! We work to make the show better each and every year. We are pleased with the facilities at the PAL Building in Wayne, New Jersey. The model display room has over 120 display tables and huge aisles. There will also be our special "Cottage Industry Exposition" and Scale Marketplace, which will occupy TWO halls . We plenty of on-site parking and many handicap parking spaces. The on-premises caterer has a wide selection, serving both breakfast and lunch, with a great room to eat and enjoy talking with your fellow modelers. The lobby has an ATM machine. An NNL event is a non-competitive gathering of model car builders and enthusiasts. The day's goals are to display our work, share tips and information, meet other car modelers, and most importantly making new friends and having a good time! NNL East is not a contest as there is no formal judging. Instead, People's Choice Awards are presented, lending to the casual atmosphere of an NNL event. This year's special theme is "The Summer of '69", any vehicle that you feel represents that era! Replica stock, trucks, cycles, any show rod from 1969! Use your imagination to stretch the theme. You always amaze us!. Our subtheme is "Going Places". Any vehicle named after a place ! To BeAnnounced on January 20th! Remember, it's always a new kit that is very popular right now! Go To Our Survey To Vote Now! Door prizes will be given away throughout the day. All makes, materials, vintages, types and scales of model cars, motorcycles, trucks and fire apparatus as well as automotive related dioramas and projects under construction are welcome and encouraged for display. Bring your work to share with your fellow modelers on our 100 display tables. This year's Scale Marketplace will accommodate approximately 100 vendor spots. Products will be aimed specifically at the serious builder and collector. Many well known cottage industry companies and nationally known vendors attend NNL East annually. For a list of vendors currently registered at NNL East click here. The admission fee to NNL East is $15.00 per person, children are FREE. A dollar of each admission goes directly to the International Model Car Builders Museum to support their outstanding programs. There is no charge to display as many models as you like! NNL East encourages people to bring all the models that they are proud to display. Models need not have been built since the last show, please bring your old favorites along. People will love to see them! 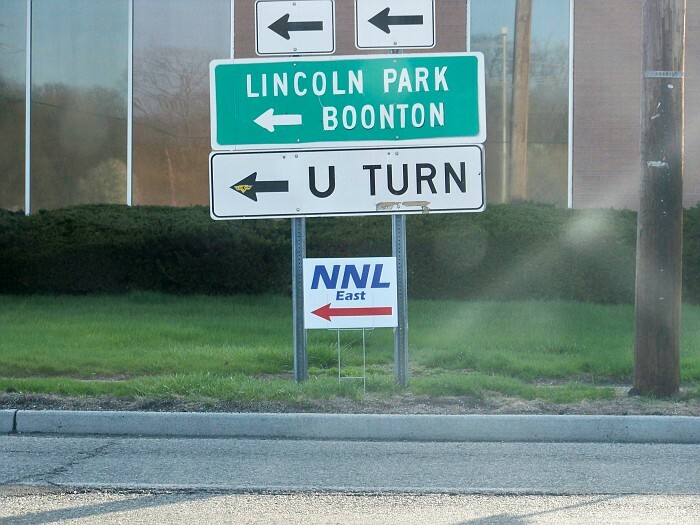 Anyone displaying models must fill out an NNL East registration form. You may print one out from this web site so you may complete one ahead of time and bring it to the show with you. This will speed up your registration the morning of the show. Additional registration forms will be available at the door. For general information on NNL East, call Tom Geiger - 7:00 pm - 10:pm weekdays (lets not get Tom in trouble at work!) or anytime weekends at (732)687-8171 or email nnleast@aol.com. For vendor information and table availability contact Tom Geiger - 7:00 pm - 10:pm weekdays (lets not get Tom in trouble at work!) or anytime weekends at (732)687-8171 or email nnleast@aol.com. We welcome manufacturers and aftermarket companies to join us! Special NNL East T-shirts featuring a full color copy of our official show artwork will be for sale at the Tri-State Scale Model Car Club table, located in the display room. To see souvenirs from previous NNL East shows and to purchase them on-line, please go to The NNL East Shirt Shop.